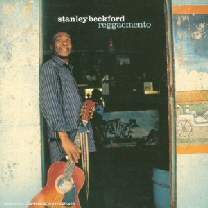 On March 30, 2007, Stanley Beckford lost his battle with throat cancer. 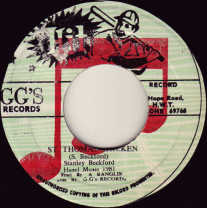 In the December 3, 2006 edition of The Daily Gleaner described, Stanley Beckford described his situation:. 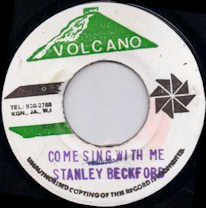 Now, staring cancer in the face, Beckford says he can only count his blessings. 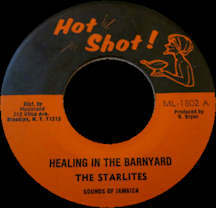 "Well praise the Lord, I'm feeling better than before. I'm still feeling a little pain, but I have some medication taking to try and counteract some of the pain," he said. He says his family has also been very supportive, especially his wife Thelma. "I have a wife here, she is more than an angel. During my illness, even before, as I even get a little headache she jump around and ready to tek care of me, so when it come to my family I have no complaints," he said. 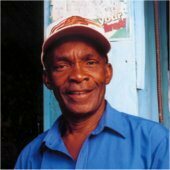 His seven children, five girls and two boys, are currently abroad. 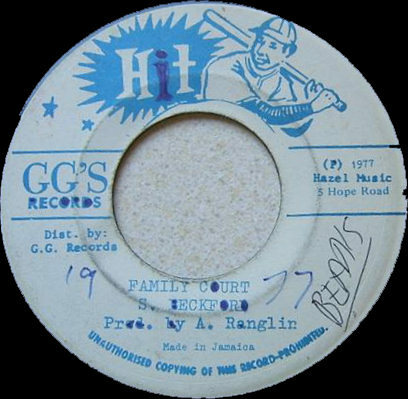 Beckford, who says he was a patient in the University Hospital of the West Indies for six weeks, says, "Up to now I really don't know the expense of the hospital. 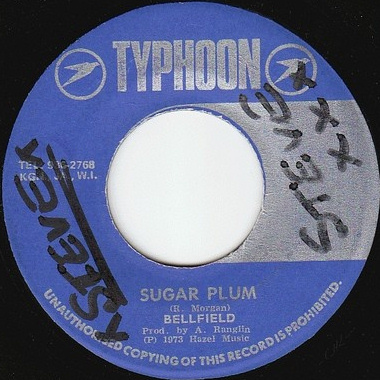 These things have been looked about or paid by other people, but I'm not sure by who." 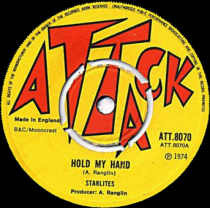 It was, however, reported in The Gleaner on November 13, during Derrick Morgan's performance at CVM TV Startime an appeal was made for assistance in paying Beckford's half a million-dollar hospital bill. 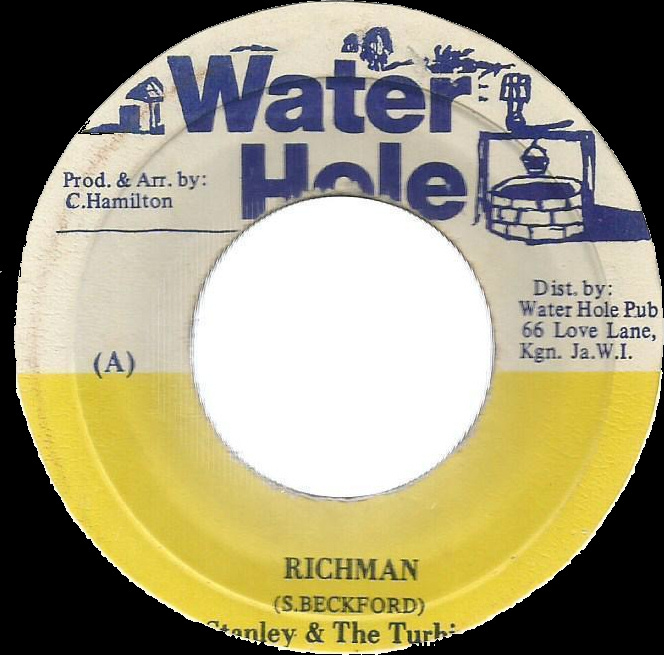 And Beckford has bigger worries to consider, as he has started a 10-day radiotherapy treatment which should also cost a tidy sum. 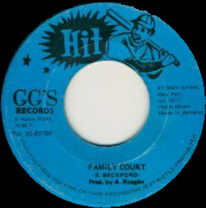 Beckford says, however, that overall support from the entertainment fraternity has been minimal. "To be truthful, is only Fab 5, The Astronauts, Derrick Morgan, Toots Hibbert and some more, but those are the major people in the music industry who come and look for me in the hospital and whatsoever they could offer as a contribution they gave me. 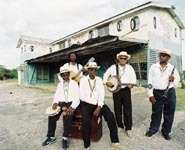 They are my breadwinners," he said, laughing. Where his singing career is concerned, Beckford says he feels it is time to give some to the Lord. 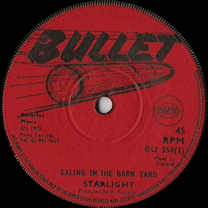 "To be truthful, I still hold my thing as a singer, but to continue with it, I don't think so. Otherwise from that, I think I'm going to give to the Lord," he said. "That don't mean that if I get a show I will not do it," Beckford said. Beckford says he has no regrets, as he describes himself as a "champion for Jamaica." 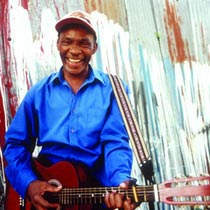 "There are so many number one songs that I have done over the years, Soldering, Kisiloo, Brown Gyal, Broom Weed and there were other songs. 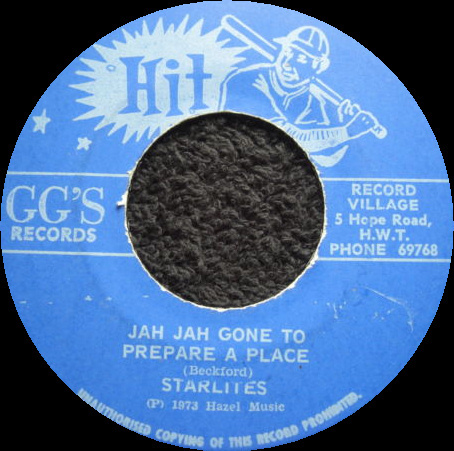 My festival song, Dreaming Of A New Jamaica, Jamaica Island Of Home, Pollution and others, but otherwise from that, coming up, I have had a lot of number one songs, but I don't remember all a dem sometimes," he said. 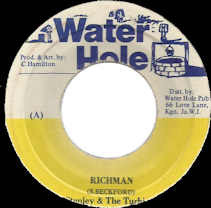 Beckford says his only regret to date is the way in which older artistes are treated unfairly. 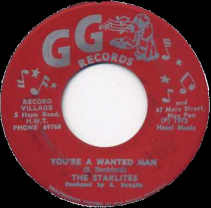 "I am a recording artiste from down in the '60s an we never use to make no money. 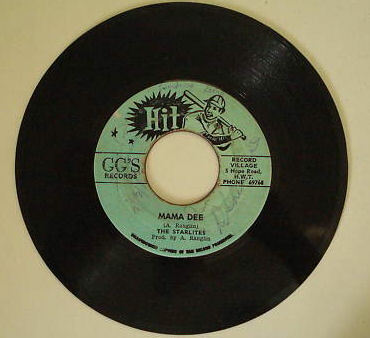 I use to get five cents per copy of record an di record use to sell for 75 cents an di producer not going to tell you how much records were sold. 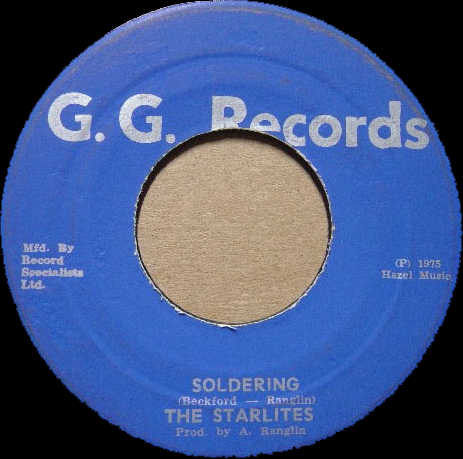 And even now we not making no money as old-time artistes. 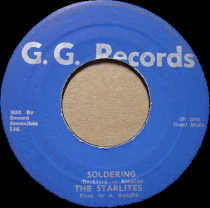 Di only thing we make a couple dollars from is like Stars R Us, Startime and JCDC. 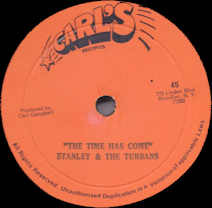 We've been robbed and cheated, but when people see Stanley and the Turbines dem seh a big artiste, but we only have di name," he said. "Promoter only waan gi we one $15,000 or one $20,000 and by di time wi pay taxi fare an dem thing deh wi cyan pay wi bills. 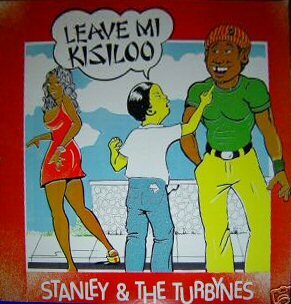 I have fi a beg an borrow, mi nuh shame fi tell no man dat. 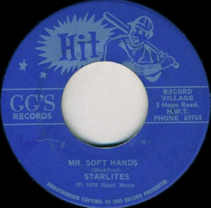 Di nowadays artistes dem a get half a million an one million. 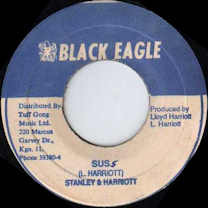 I'm not disrespecting no artiste or the music industry, but I'm only talking what is happening, and it shouldn't be so. Is not only me alone as artiste that these things happen to. 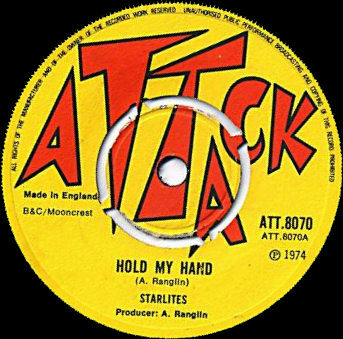 You have Toots Hibberts, Eric Donaldson, The Astronauts, Derrick Morgan, Keith Poppin who are long-time artistes, and in the same portfolio like me. We don't get our fair share," he said. According to interviews given in 2004, Stanley Beckford never saw a great difference between mento and reggae. 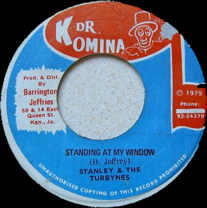 For the first part of his career, spanning the 1970 through the 1990s, he recorded mento-infused reggae. 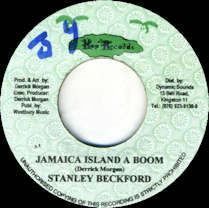 Stanley then greeted the new millennium by leaving reggae recording behind to record mento. 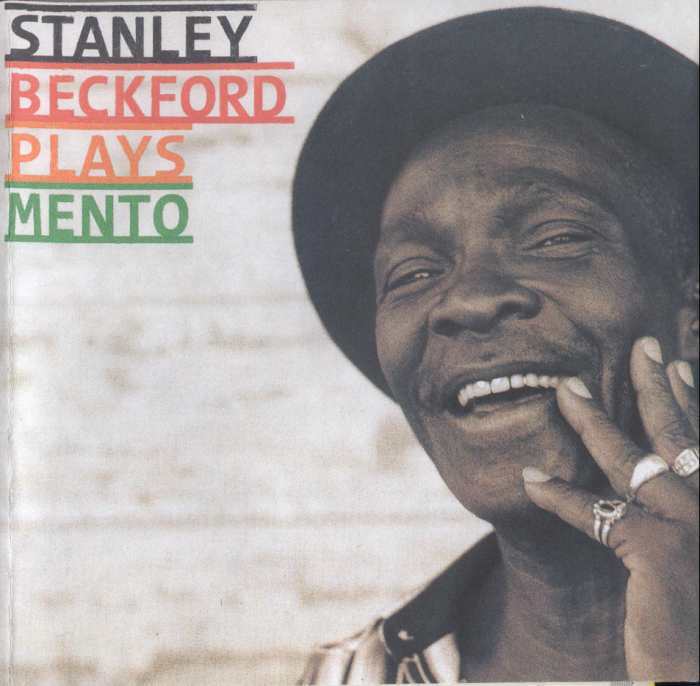 It is interesting to note that while some mento performers went on to reggae (such as Lord Tanamo, Count Lasher and Count Sticky), Stanley Beckford is the only reggae performer to move to mento. 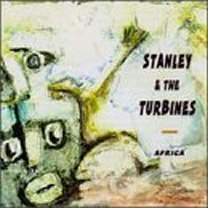 Stanley was born February 17, 1942 in the parish of Portland. 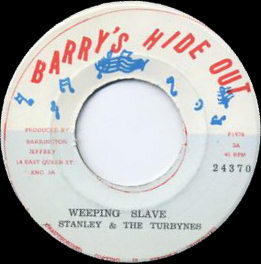 He was orphaned as a child and wound up living in Kingston. 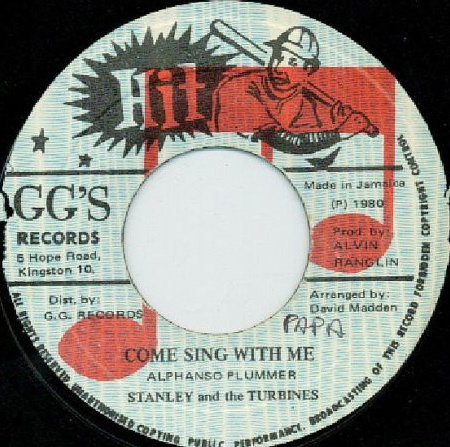 Taking a path that other Jamaican recording artists followed, he began singing in church, and then gained prominence by winning on the Vere Johns radio talent competition. 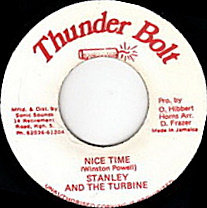 Stanley recorded reggae as Stanley & The Turbines, The Starlites, and, briefly, as Bellfied. Although clearly reggae, his music had a tinge of mento, displaying a country sound, especially due to Stanley's mento style vocals. 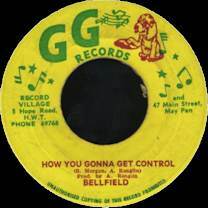 (He sounded like the great mento singer Harold Richardson.) 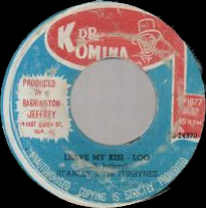 When the mento influence was stronger, his recordings could best be described as "mento-reggae". 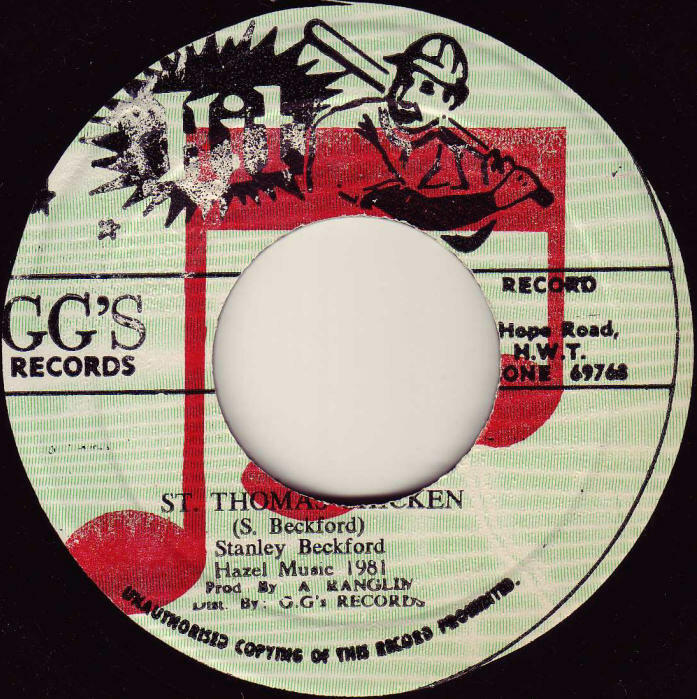 Before moving to mento, Stanley Beckford released several reggae albums and numerous singles from the early 1970s to the late 1980s, enjoying hits such as "Soldering" and winning Festival three times. 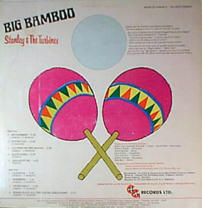 In addition to original compositions, Stanley recorded reggae covers of a number of mento songs, such as "Balm Yard", "Big Bamboo", "Banana", "Sweet Jamaica" (with new lyrics), "Dip Dem", "Samfie Man", "Maintenance and Chi Chi Bud", "China Man From Montego Bay" and others mentioned below. Brown Gal Hope Road / Tuff Gong ? 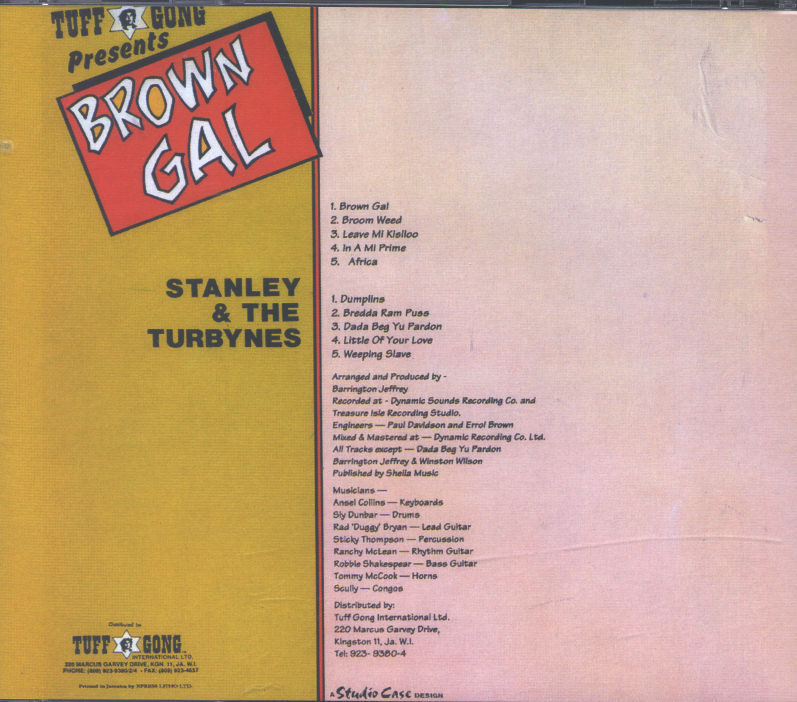 Above, on the Tuff Gong label, is the Stanley and The Turbynes CD, "Brown Gal", produced by Barrington Jeffrey. This CD is recommended as an excellent example of reggae-mento. Piano is a dominant instrument, harkening back to mento's pre-electric sound. 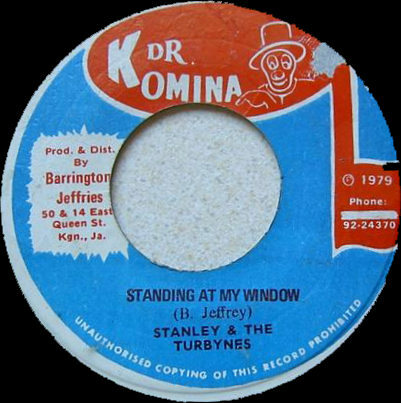 The rhythm is bouncy reggae, influenced by mento's proto-reggae beat that came before. 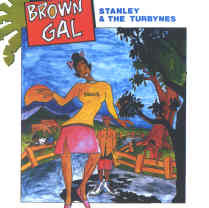 Stanley's rural voice, as well as the lyrics add to the country feel. 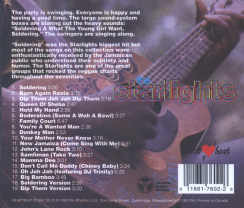 The back cover reveals that instrumentation is provided by Sly and Robbie and familiar cohorts such as Tommy McCook. 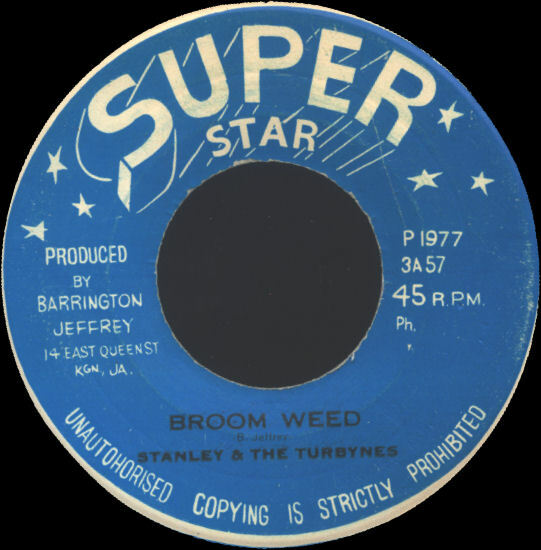 There are many fine songs, and no bad ones: "Brown Gal" stands out, as does "Dada Beg Your Pardon" and the original version of "Broom Weed". 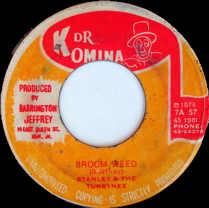 Better mento reggae would be hard to find. 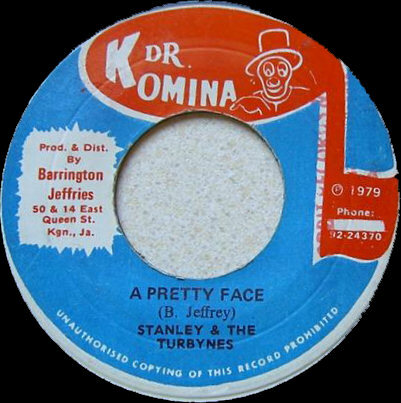 "In My Prime" and "Leave My Kisiloo" (based on Count Lasher's "Mobay Chinaman") are fun. 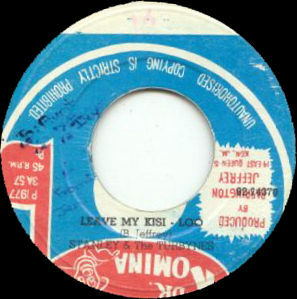 As far as mento covers go, "Leave My Kisiloo" is an adoption of the Count Lasher song released on Chin's , "Don't Fool Roun Me Gal", also known as "Mo Bay China Man". 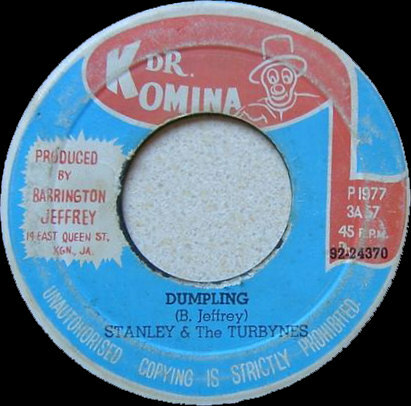 Another track, "Dumplings", I believe, is a Jamaican folk song. 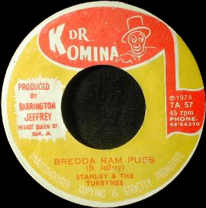 The mento-reggae track "Bredda Ram Puss" is a different song from mento song "Miss A Ram Goat". "Africa" features an African music introduction, in which Stanley's singing lays bare the strong connection between African vocal traditions and the mento vocals of rural Jamaica. "A Little of Your Love" finds Stanley performing a soul song. 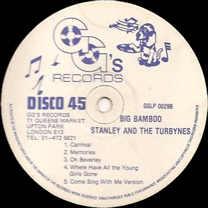 Above, on the Jamaica Gold label is the 1992 CD re-release of the 1981 "Big Bamboo" LP by Stanley and The Turbynes , produced by Alvin Ranglin. 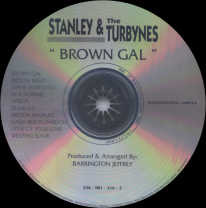 This set is not nearly as strong as "Brown Gal". 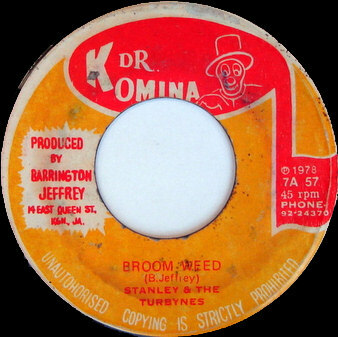 It is not distinctly mento-reggae. Many tracks have a calypso influence, resulting in a less interesting compromise between reggae, calypso and mento. This CD can be found very inexpensively. 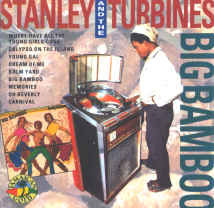 It features liner notes that put Stanley into context with calypso and mento. Boo Richards on drums, Lloyd Parks on bass, Willie Lindo, BoPe and Andy Bassford on guitar, Winston Wright on keys, Dave Madden, Dean Fraser and Glen DaCosta on horns, Ruddy Thomas on percussion, Barbara Jones and The Tamlins on backing vocals. As far as mento covers go, there is the Harold Richardson and The Ticklers' "Healing In The Balm Yard" (written by E. F. Williams ), "Calypso On The Island" is adapted from the old mento "Banana", and "Carnival" is adapted from "Sweet Jamaica" by Lord Lebby. To the right is the UK release of this CD on Charly Records with a different cover. 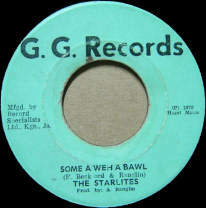 a label from the vinyl release on GG Records. 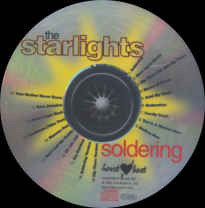 Here is the 1993 CD collection on the Heartbeat label, "Soldering" by The Starlites featuring Stanley Beckford. 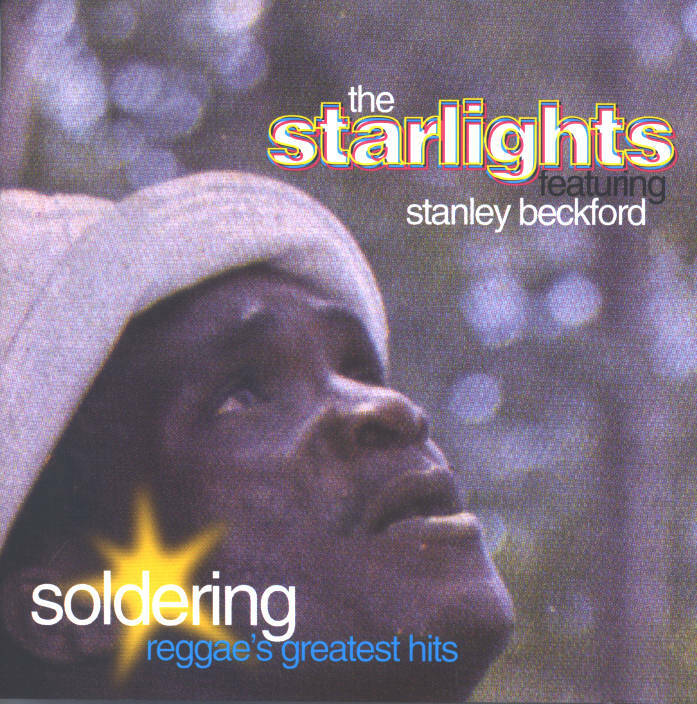 This is a good collection of Stanley's singles, with liner notes that trace the success of his first single, "Wanted Man", the mixed success of his next six, and the monster hit "Soldering" that followed. 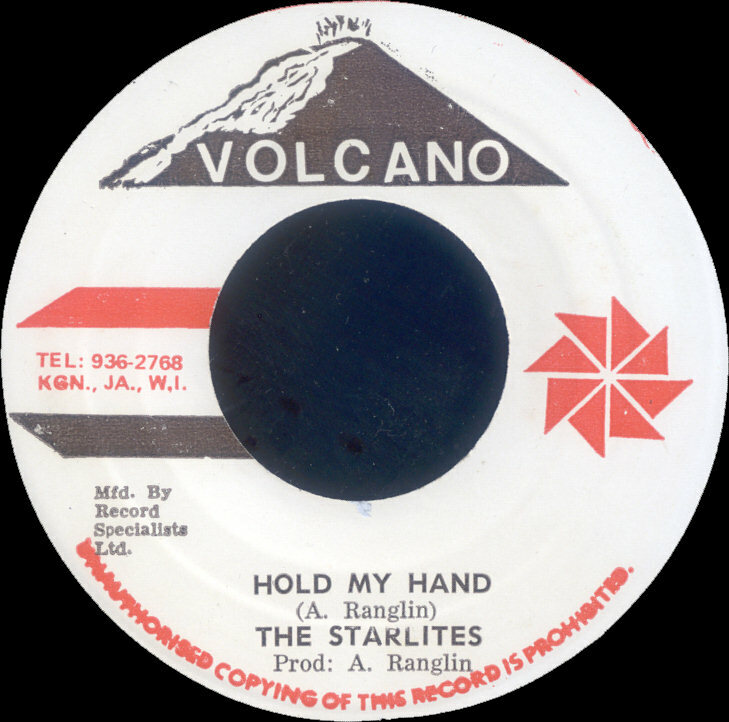 This collection is clearly not mento-reggae, but reggae proper, replete with 12" disco mixes and guest DJs. 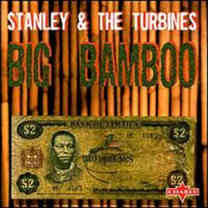 But as is almost always the case with Stanley's recordings, there is a rural feel. 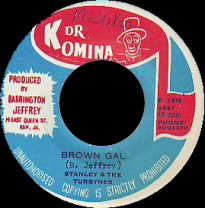 Two tracks lean towards calypso rhythms. 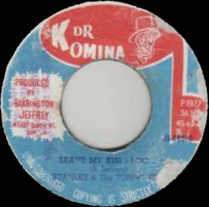 "Dip Them Jah Jah Dip Them" is a cover of the old folk/mento "Dip Dem". 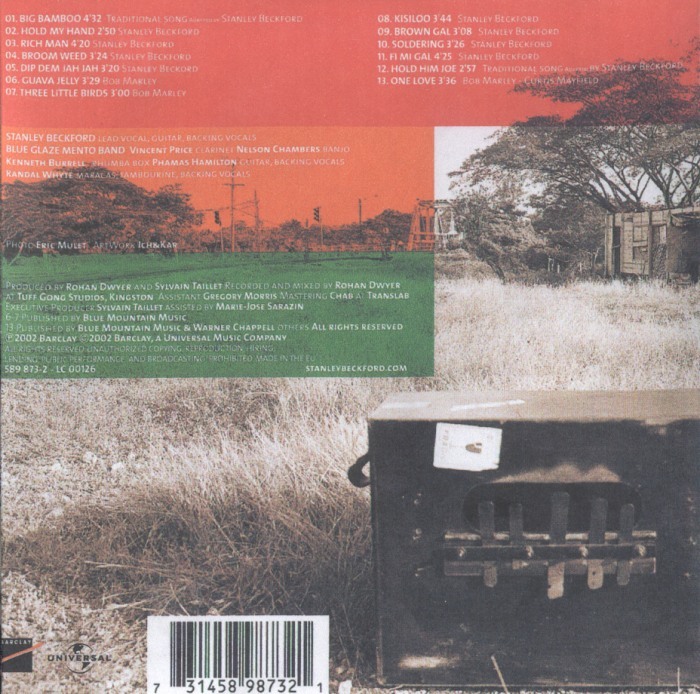 Other mento covers on this CD are less obvious from the song listing. "Don't Call Daddy (Chiney Baby)" is neither Derrick Morgan's ska song "Don't Call Me Daddy", nor is it "Chinese Baby" by The Hiltonaires. It's actually "Maintenance" with some additional lyrics first. 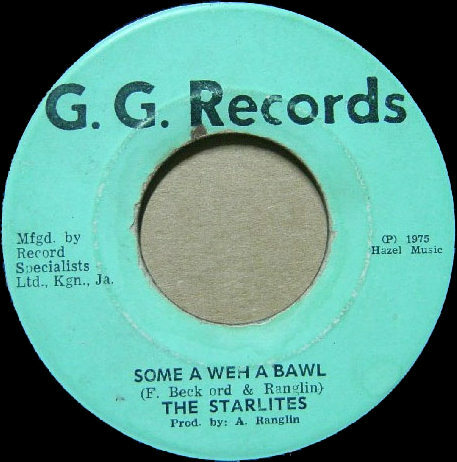 "Boderation (Some A Weh A Bawl)" contains "Chi Chi Bud Oh". The 1979 LP "Gipsy Woman" by Stanley Beckford (Starlight) on the GG Records label, produced by Alvin Ranglin. 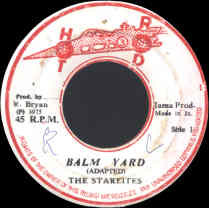 The Revolutionaries (Sly and Robbie, Tommy McCook, and others) provide the instrumentation which is primarily reggae more than mento-reggae. One track, "You Mother Never Know", has a calypso influence. 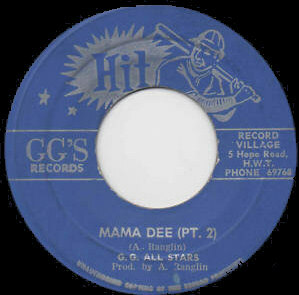 There are two songs from the mento repertoire. "Back To Back" is one. "Chinese Baby" is a version of "Maintenance", not The Hiltonaires song of the same name. 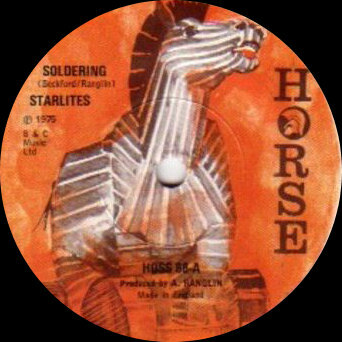 There are also a couple of songs that Stanley recorded on other releases, such as "Soldering". These are different versions. 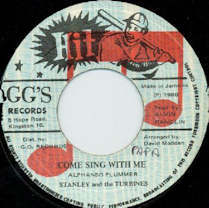 bottom are some random samples of Stanley's many singles. 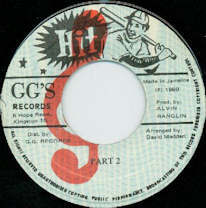 Hold Them Natty Dread / Part 2 Dub G.G ' S Records ? Shame On You STARLITE ? When I Come Home FEDERAL ? 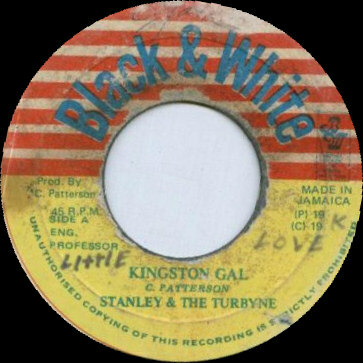 Kingston Girl BLACK & WHitE ? Dragon Dance (G.G ' S) ? 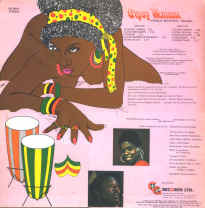 Your Mother Never Know (1977) (G.G ' S) ? 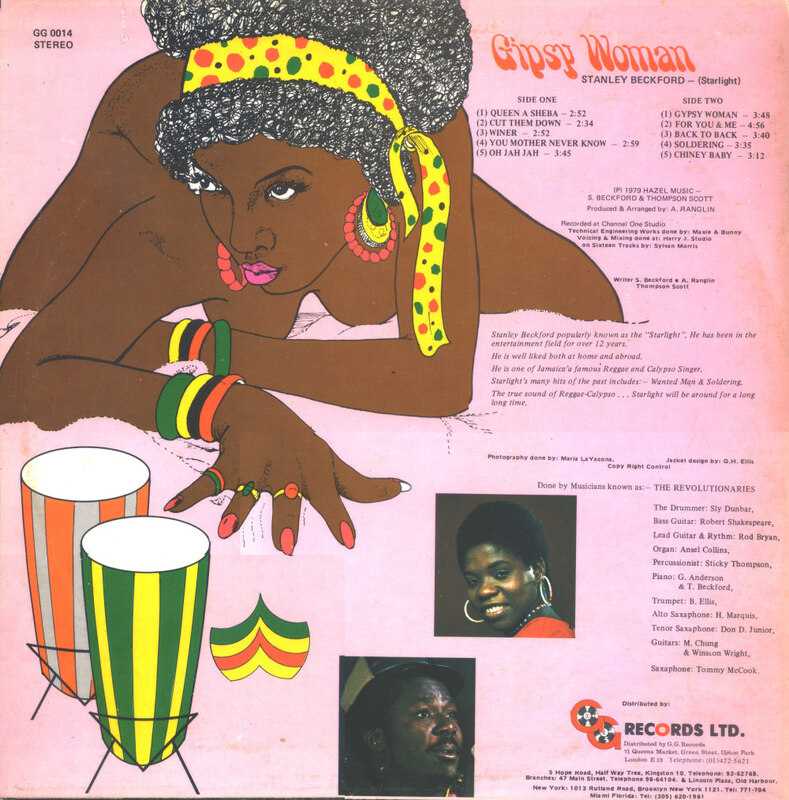 Chiney Baby (1977) (G.G ' S) ? 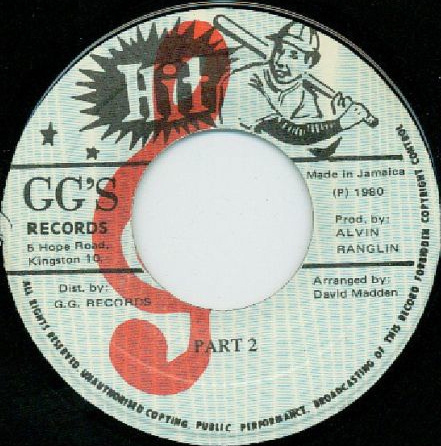 John's Lane Rock (1977) (G.G ' S) ? 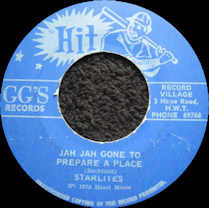 Oh Jah Jah (1977-1978 ?) 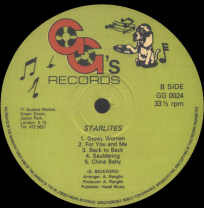 (G.G ' S) ? Queen A Sheba (March 1978) (G.G ' S) ? 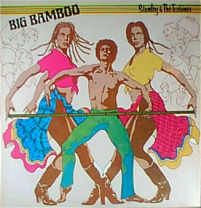 Big Bamboo (1978) (G.G ' S) ? 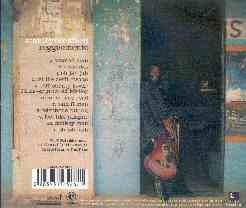 Dream Of Me '12' ? 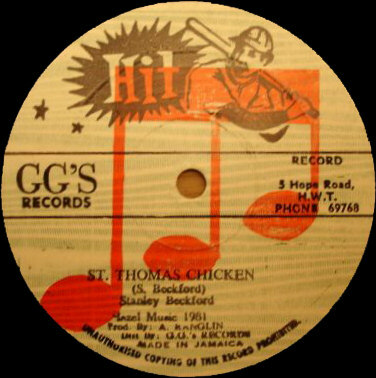 From 1981, on the GG's Records label, produced by Alvin Ranglin is "St. Thomas Chicken" by Stanley Beckford in both 7" and 12" formats. 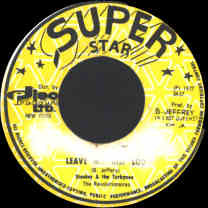 The b-side is a dub version. 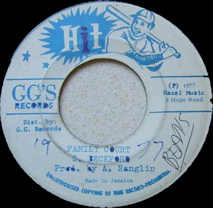 The melody is "Naughty Little Flea", but with new lyrics. 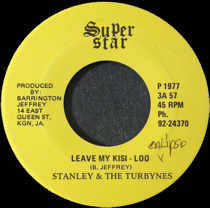 The music has a country influence and a not-quite reggae rhythm that is the hallmark of late 70s - early 80s mento-reggae. From 1978, on the Dr. Komina label is "Brown Gal", backed with "Version". 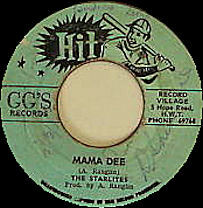 This is the same fine mento-reggae track found on the above LP of the same name. The version is only available on this single. 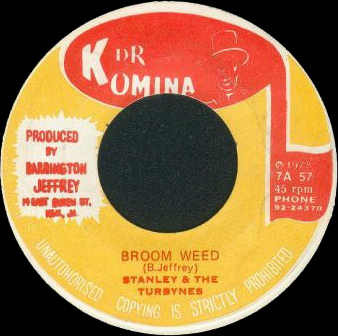 Another fine Stanley track from the late-1970s on the Dr. Komina label from the same recommended CD is "Broom Weed". The b-side is not a dub version as in the single above, but another good track from the CD, "Bredda Ram Puss". 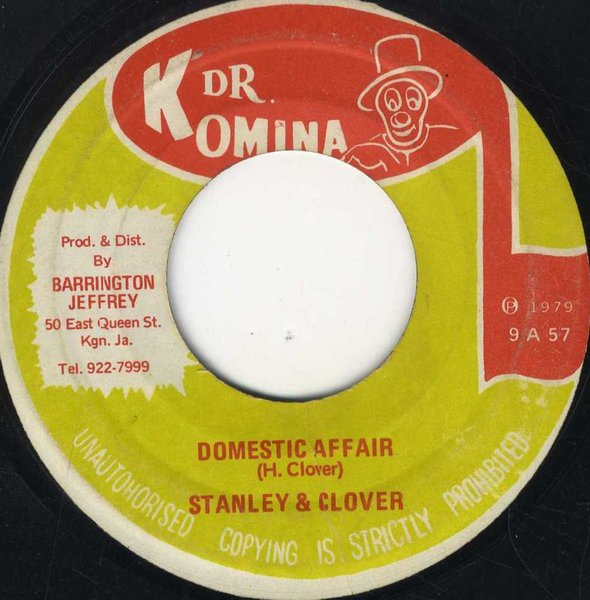 Again on Dr. Komina from the late -1970s is the charming "Domestic Affair", credited to Stanley and Clover, backed with "Version". 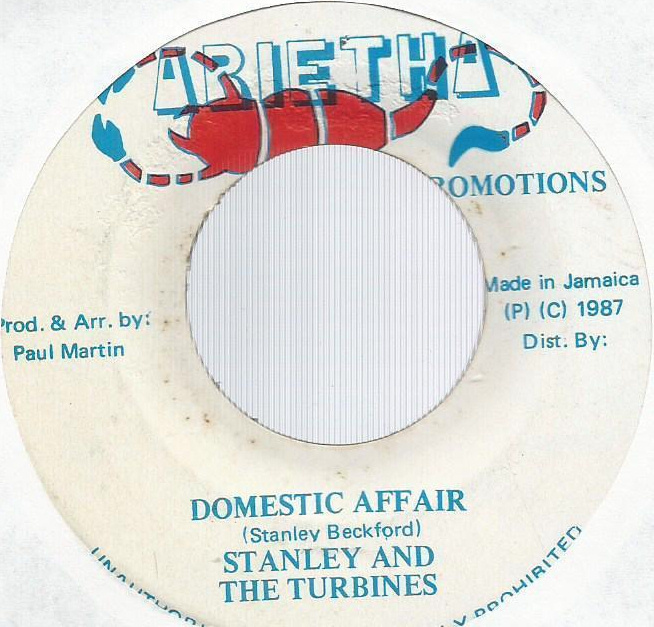 Also pictured is Stanley's less appealing dancehall remake on the Arietha label from 1978. 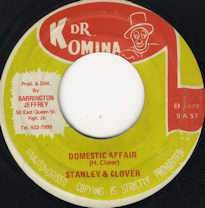 Recorded as a duet with a female vocalist, "Domestic Affair" is a mento-reggae waltz -- the first Jamaican waltz recording that I'm aware of since those by Chin's Calypso Sextet two decades earlier. 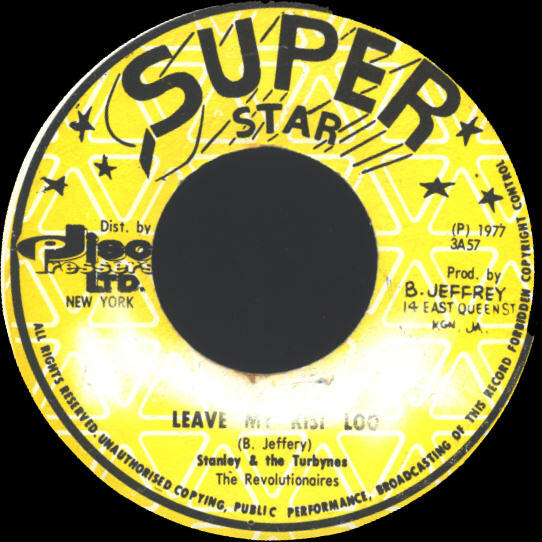 The lyrics have a mento richness -- complete with double entendres -- as Stanley and Clover debate their relationship. 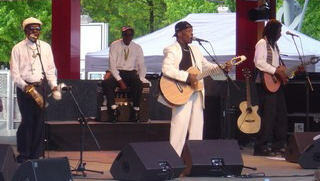 The playing is detailed and rich as well, with the musicians sounding excited to be participating. 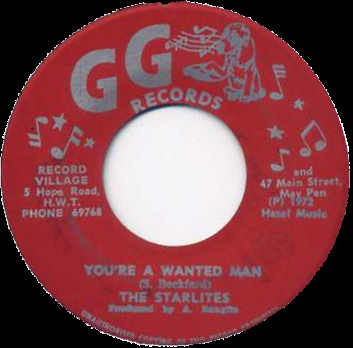 Guitar is the star until a sax appears and conjures the old-time sound of mento clarinet. From 1974, on the Volcano label is "Hold My Hand", backed with "Hold My Hand, Part 2", a version that dubs the voice out for most of the song. Production and writing credit go to Alvin Ranglin. 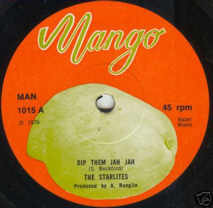 This is not the similarly named folk-mento song. 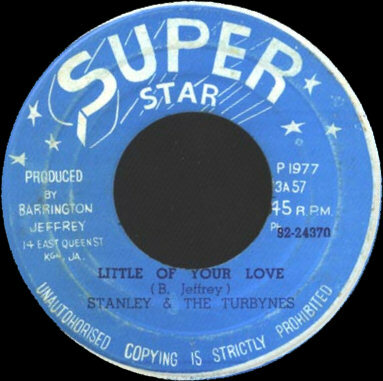 Like many of Stanley's recordings, this is a reggae song with a country lilt. Stanley's "Him Pon Top" not only is a cover of Baba Motta's signature mento song, "She Pon Top", but it also includes lines from another mento song, "Get Up Adina". For some reason, the single as released on Tayna, never seems to have the right information on the label, leading to pen corrections such as seen here. 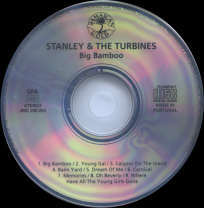 In a series of audio interviews in Real format posted on the Mondomix web site, Stanley explained how in 2001, he was visited by promoters from France who asked him to record a mento record. 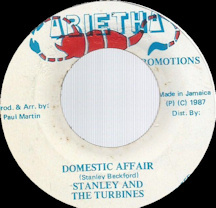 Stanley considered the Rod Dennis Mento Band, but, after conferring with his wife, decided instead to work with The Blue Glaze Mento Band, who he believed was the best active mento band. 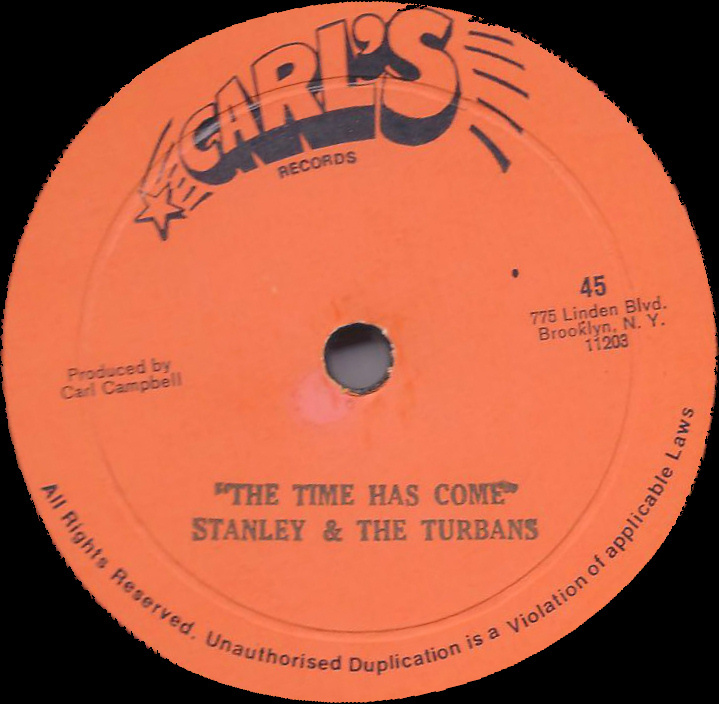 (As Dan Neely's article in Global Rhythm magazine shows, Stanley had been performing for a time prior to this with the Rod Dennis Mento Band. See below for more on this article.) 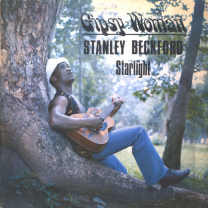 In 2002, he recorded, "Stanley Beckford Plays Mento", backed by Blue Glaze . 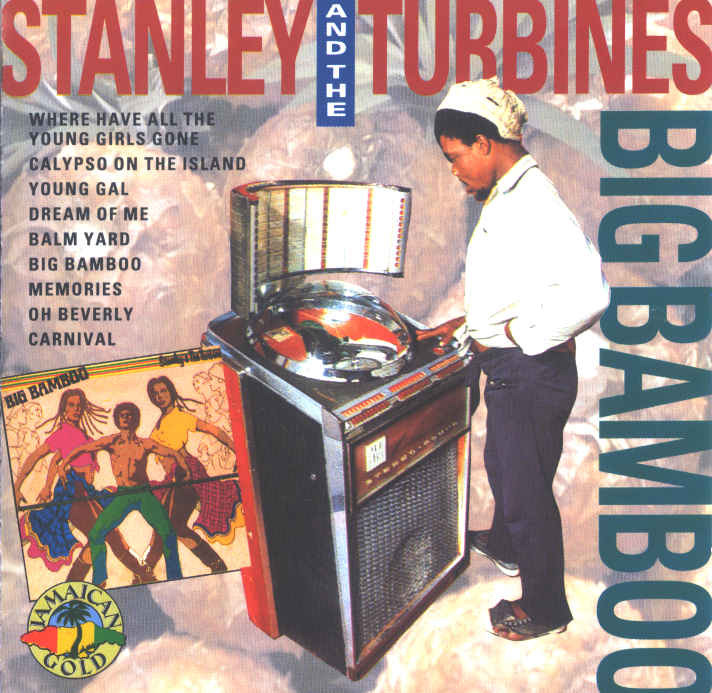 It's the great mento album that Stanley was born to record, but did get to until he was 60! 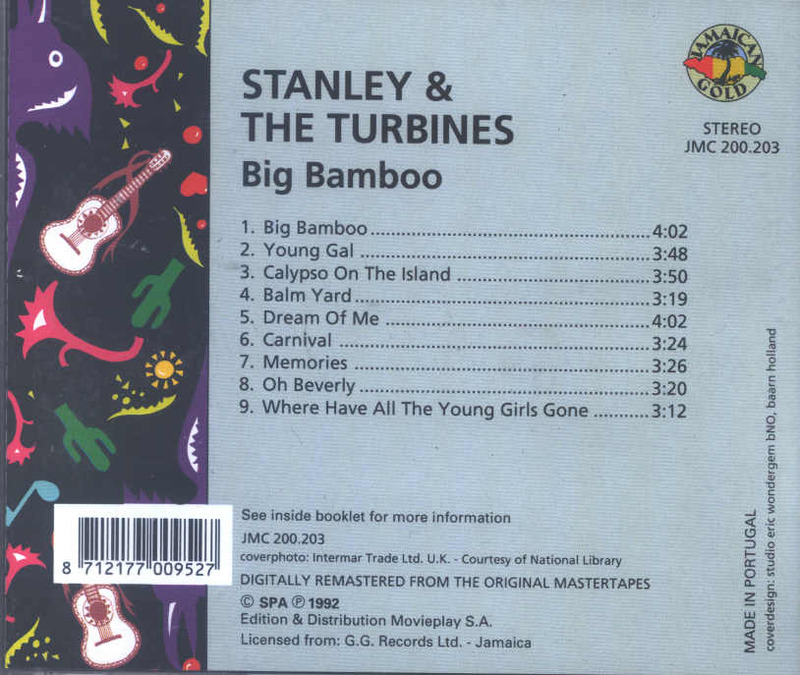 Along with a side order of Bob Marley covers, it's a fine collection of mento remakes of some of Stanley's self-penned hits (including a wonderful rendition of "Broom Weed", alone worth the price of the CD) and mento standards. 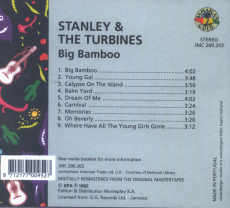 This CD is recommended as an excellent example of the resurgence of mento releases that began in the late 1970s. 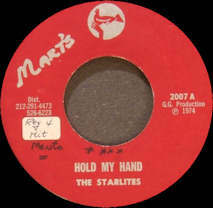 This release can be purchased at better record stores and on-line retailers. Stanley followed this CD with a tour of Europe with Blue Glaze. 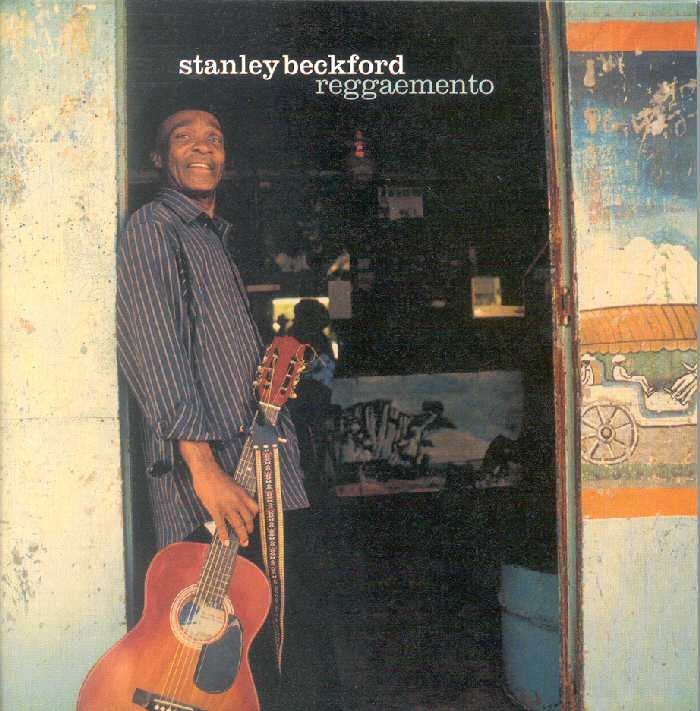 In 2004, Stanley Beckford, again backed by The Blue Glaze Mento Band, released "Reggaemento", a follow up to "Plays Mento", on the Chrysalis/Calaloo label. 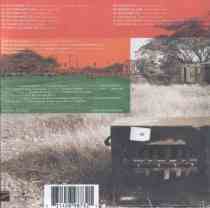 Currently released only in France, it can be purchased from the French Amazon site: http://www.amazon.fr. 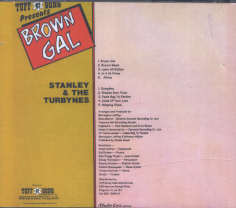 The enclosed booklet includes some nice photos, plus lyrics of the 8 songs written by Stanley. 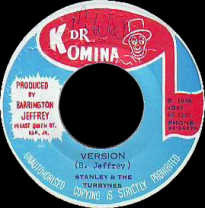 The remaining tracks are mento versions of reggae favorites. Stanley is again touring Europe with Blue Glaze to promote Reggaemento. 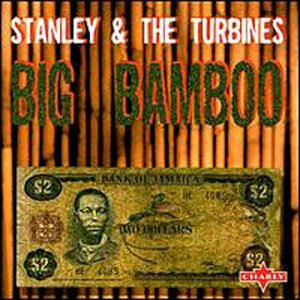 In the September 2004 issue of Global Rhythm magazine, Dan Neely has a two page article that discusses Stanley Beckford's career. 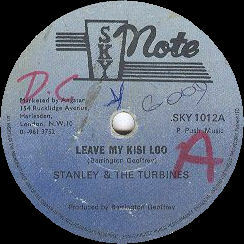 It also reviews the history of mento with an emphasis on the start of Stanley Motta's MRS label. This article is well worth the small cost of a back issue. 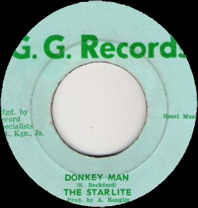 The magazine is bagged with a CD that includes Lord Messam's fine recording of "Linstead Market", from the Motta compilation CD, "Mento Madness".